Moving can be such a big task, and no one wants their valuables damaged during a move. A dining room table must be preserved and wrapped up properly to prevent any unwanted scratches on the surface. There are ways to go about moving a dining room table to keep it safe and secure. Here are some tips on how to keep the table scratch free. The only way to keep a table from getting damaged and scratched in a move is to take some very important steps in preserving the unit. Without the protection, you can bet that the dining room table will certainly get some scratches on it. So, do not try to skip over properly protecting a dining room table for a move. Remember that the most work included in moving is the unpacking, the packing and preparing. The easy part is transportation, loading and unloading. 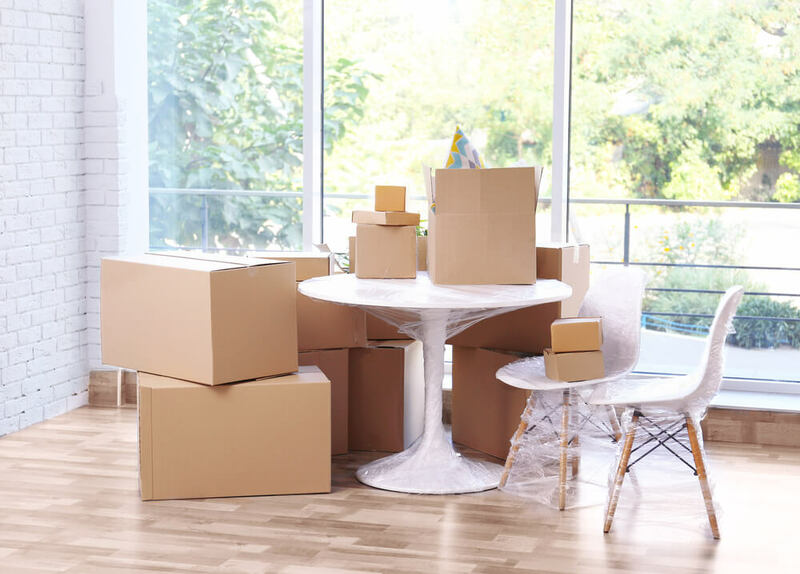 You can find some tips on moving easily at Moving.com. We Like To Move It, Move It! !, a company of Lynnwood movers, recommends removing all dust before moving any furniture. Sometimes furniture will have to be placed in a storage unit, and the dust is not something that you will want to package up for it to sit. So, a clean wipe down of the items will be the next thing to do. Also, be sure to allow the furniture to dry completely before the next steps in packing. Although it may take time, it is helpful to dismantle the dining room table. By removing the legs of the table, it will be easier to move and less likely to get any scratches. Unscrew the legs and place all of the screws and other hardware in a sealable bag. You can tape this to the bottom of the table for easy access when putting the legs of the table back on. Sometimes legs cannot be removed from a table. This is fine, as there are some steps you can take. Remove the leaf in the middle of the dining room table if there is one. This will make the dining room table much lighter and easier to move. The dining room table will need to be wrapped up with a material like a bubble wrap. However, bubble wrap is not the only protective coat needed for moving a table. After the bubble wrap is around the table a moving blanket should cover the entire table. The legs of the table should be wrapped in bubble wrap regardless of whether or not they have been removed or detached from the table. Tape the bubble wrap securely to each piece of the table, including the legs, base, and leaf. This YouTube video can give you some more tips on how to properly wrap a table in bubble wrap. What If the Blanket Does Not Cover the Table? Sometimes the blanket will not cover the entire table either due to the length or shape of the table. The good news is that you can use as many blankets as you need to cover the table. However, there is one important note to remember and that is to not actually attach the tape to the table. The tape should only touch the bubble wrap and the moving blankets. If the tape does touch the table or the legs or leaf, then this can damage the table greatly and give it a very unsightly look. While the chairs are much easier to move, they should be wrapped too. Using the same bubble wrap, you can securely wrap the chairs. This is an important step in preserving the chair, but it is often forgotten about. Things get banged around in a move and even the slightest bump on unprotected furniture will leave it damaged. Glass is a lot different than wood and can be very fragile. To protect a glass dining room table, you will want to double up on the bubble wrap. All you have to do after securing the bubble wrap is just repeat that same step once more. It is more work, but it is certainly worth it. It is very important to still use the moving blanket even with two layers of bubble wrap. This gives the table some cushion if set down harshly. This will also prevent the glass dining room table from getting any scratches. Depending on where the furniture is being moved, it is vital to consider if the furniture will be stored in a climate-controlled environment. Sometimes wood can be damaged in a storage unit without climate control. Mold can easily grow on wood tables when kept in a warm and humid environment.